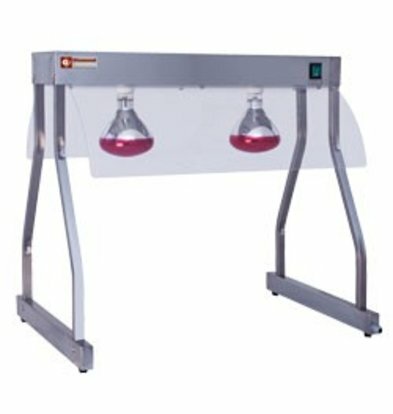 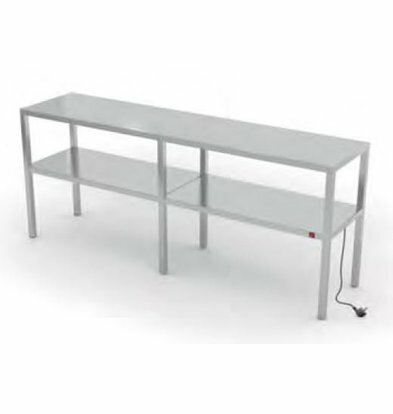 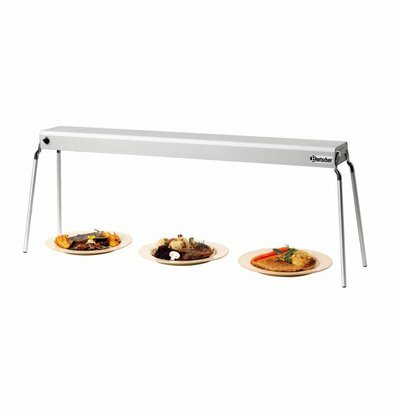 Energy efficient heat bridges, bridges and hot heat etageres (electric, infrared) of XXLhoreca provide effective means for keeping food for long periods on the right (warm) temperatures. 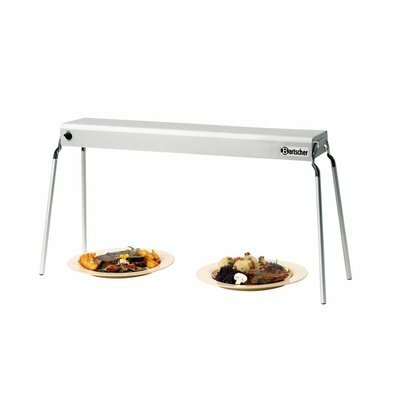 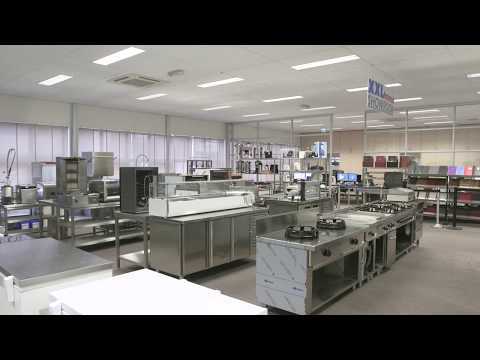 In XXLhoreca you will find several high heat bridges and etageres (in gastronorm and other sizes) of known brands such as Bartscher and Buffalo. 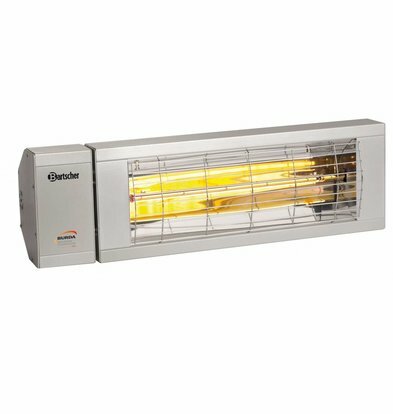 A small or larger warming bridge is a handy device to have around the house because of the rapid buildup of heat by infrared light. 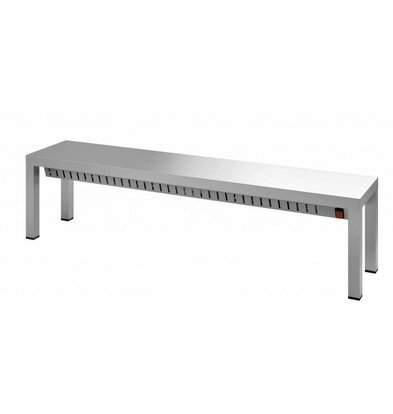 In XXLhoreca you will also find useful GN 1/1 thermal bridges and larger bridges with a total length of more than 1 meter. 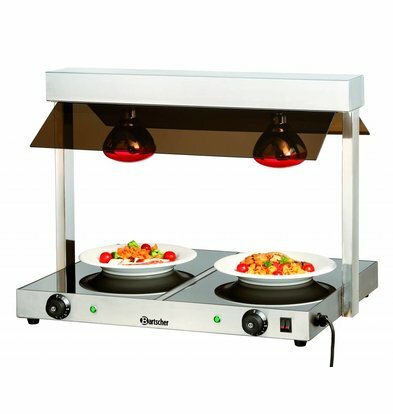 The infrared heat bridge of 1/1 GN Bartscher is fully dimensioned on the single gastronorm gn 1/1. 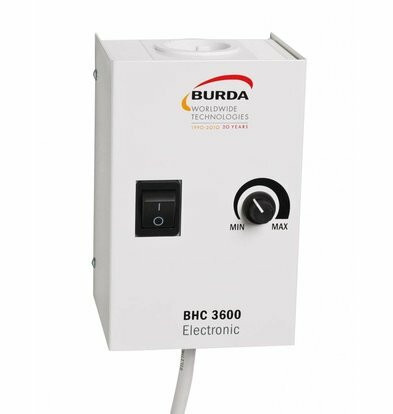 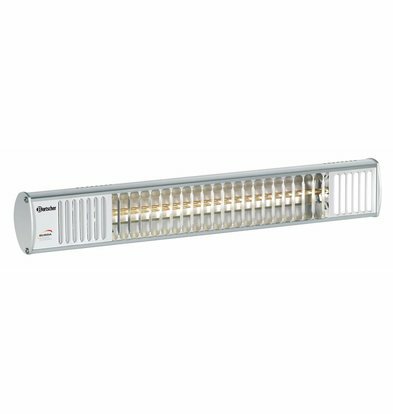 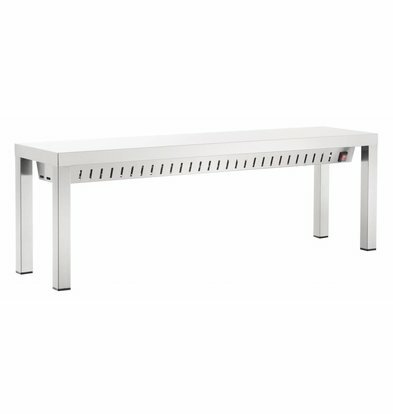 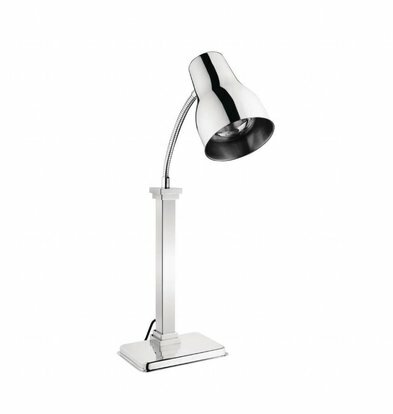 This warming bridge features a handy operated on and off switch and is perhaps the most basic unit of our range. 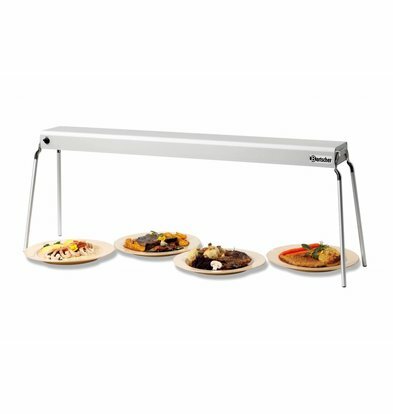 For more capacity, you can choose to XXLhoreca from several larger warming etageres or double heat bridges with two floors. 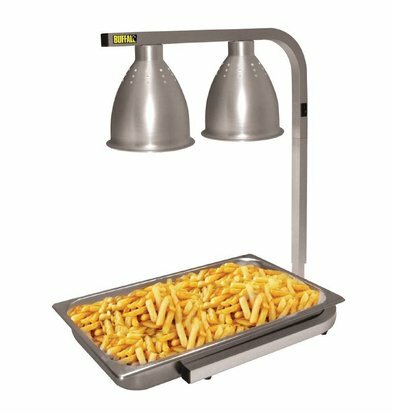 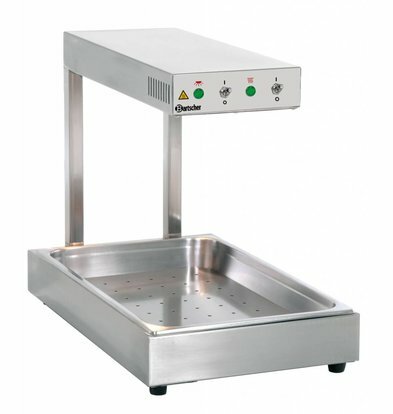 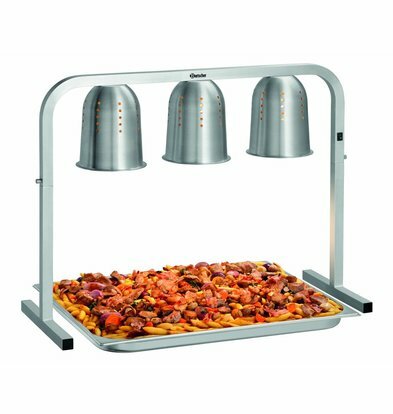 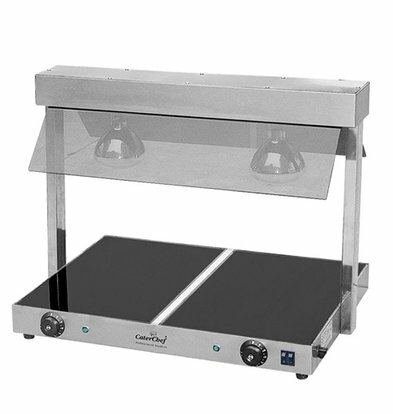 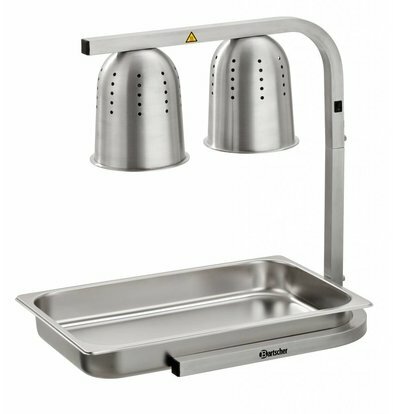 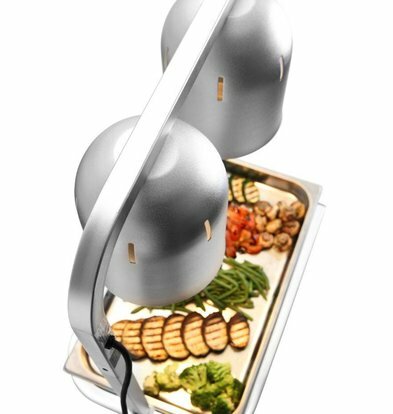 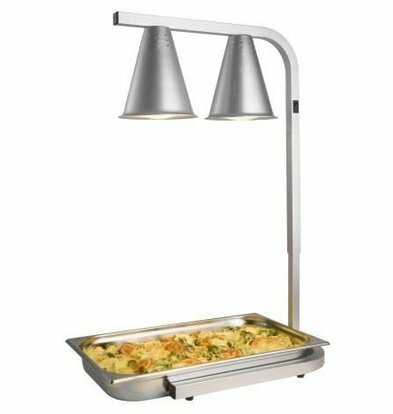 These are typically used in a variety of professional catering kitchens and are made of high quality stainless steel. 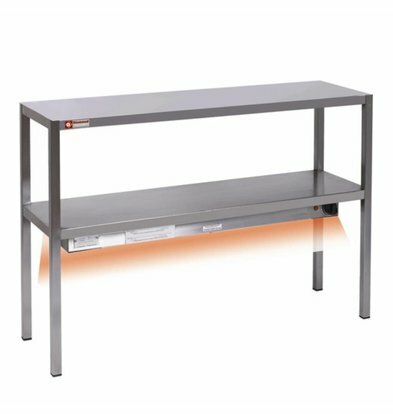 Our range is supplemented each month, so even if you are looking for a specific thermal bridge that are not yet listed here, please contact our customer service.